MEANINGFULNESS: Transcending Nihilism and Determinism. The Universe is meaningful, or it is not. We cannot be absolutely certain one way or the other. Intuition can argue both cases and empirical investigation merely stumbles into an empty hole. The question of meaning is a uniquely human, or, more accurately, sapiens issue: the concern over meaning is only pertinent to organisms that can understand what meaning is. The meaning is in the capacity to understand meaning. For the natural world to be meaningful, therefore, it has to create meaning for itself, firstly by creating conditions for life that can evolve into sapiens forms capable of understanding meaning. This process of creating meaning is itself sufficient as a teleological reason. In this way, meaning is discovered through the creation of meaning. Much like Columbus had no original intention of going to America. He intended to cross the sea to India, but once America was found, the intention of all Trans-Atlantic voyages from Europe since then have been to reach the Americas. So, just as America becomes real through the discovery of America; meaning becomes real through the discovery of meaning. An event which was brought about by the evolution of organisms with an intelligence capable of formulating the concept of meaning and the capacity to invent and reinvent what meaning is. This realisation that meaning is the meaning of meaning, contains a powerful positivism, transcending both determinism and nihilism: The Universe is either meaningful or it is not, but the fact that we can make that distinction or ask that question is meaningful. In other words, the very fact that we can conceive the Universe to be possibly meaningless makes it meaningful. That there exists a point, any point, in the vast stretches of the Universe where that question can be formulated, gives credence to the circumstance that, during the time that the intelligence exists to formulate such a question, the Universe itself, as it is conceived by that entity, is imbued with meaning. Yes, meaning lies in the existence of the concept of meaning. If there is a meaning to evolution it is in the creation of a capacity to understand meaning, meaningfulness and even meaninglessness. Meaning proves the meaningfulness of all things. Nihilism is therefore unimportant, because once we have understood the concept of meaning, life is meaningful. Likewise, determinism is a non-issue. Whether this was willed or accidental, it does not matter at all. The fact is that meaning exists as a concept and will only exist while the concept continues to exist. 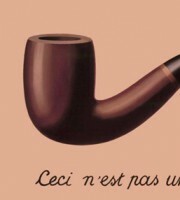 The meaningful course is, therefore, the way that will perpetuate the concept of meaning. Real nihilism would only arise when the concept itself is lost – which is impossible whilst a living creature with a functional language exists. Meaning is embedded in all language. The nature of language is to give a meaning to existence by naming existence. I think; therefore, I am meaningful. But this is also misleading, because we are limiting our definition of language to the words we say, when in fact language can become a far more ubiquitous phenomenon. If we define language through its function, which is communication, we see that it is the very fabric of the Universe itself because communication is an integral part of the sub-atomic structure of everything. Language communicates information and cosmologists and physicists like Vlatko Vedral and Rafael Bousso argue that information is the bedrock of the Universe. We can think of no better link between what we perceive to be the material and spiritual fabrics of the Universe, and no better explanation of the dual-reality of mind and body than the fact that the Universe is structured on information. But we want to take this concept one step further than the physicists: if meaning is embedded in language and communication, and communication is entrenched in the Universe; then the Universe must also be imbued with meaning. This brings us again to the importance of the sapiens. It is through a self-conscious understanding of meaning, which is knowing, that the language embedded in the Universe is imbued with meaning. Sapiens give meaning to meaning. Knowing what meaning is, makes meaning meaningful. Yet, if the meaning is there, embedded in the fabric of everything, doesn’t this also leave us in the limbo of nihilism: if everything is meaningful, then nothing is more meaningful than anything else, and, subsequently, nothing is more important than anything else. Given this kind of metaphysical scenario; how can we decide what needs to be done? Nevertheless, this is an unfair question: the essence can never be a moral pointer in itself, beyond the essential question itself – which is: Is the essence of the Universe meaningful or not? If the answer is yes; the essence is meaningful and therefore good, and this is a moral conclusion that has moral consequences, but only while we know it. Remember, only while it is known what meaning is, can meaning be meaningful. The good is something worth preserving, or as Heidegger said, something worth caring-for. And, in order to preserve what is meaningful we must protect that which knows what is meaningful: we have to protect the sapiens; we have to protect humanity and its capacity for knowing, understanding and creating meaning through the arts and sciences. This may sound like stating the obvious, but it is not obvious at all. For the last seventy years, at least, we have been living under a shadow of the threat of self-destruction: first, through the nuclear arms proliferation of the Cold War; and afterwards by our rapacious destruction of the biosphere. Humanity is now revealed to be following an anti-meaning, a meaningless jeopardising of meaning itself by turning our backs on the preservation of meaning, which is the preservation of humanity itself. We do well to ask ourselves how such an absurd situation could ever come about? If the essence of the Universe is meaning, how could that essence be undermined by they who possess and understand meaning better than any other entity in the Universe? Without knowing what meaning is, there is no meaning. This is the existential role of all sapiens entities in the Universe, and every time your brain clicks into conscious-thinking mode you are participating in this existential experience. Our existence makes the Universe meaningful, and that puts humanity at the very centre of things. To live in a way that threatens our survival is, therefore, fundamentally evil; it is life in the bubble of anti-meaning. This absurdity is possible due to the structure of human thought itself. Its logical form and its dependency on measurement in order to define and give meaning to things, not only understands meaningfulness, it also defines the meaningless. The same consciousness that allows us to comprehend an idea like the One, or absolutes of Good, or Truth, immediately creates an anti-version. Against Good is Evil; against Truth is the Lie; against the One is the Void … and against Meaning is Non-meaning; against Meaningfulness is Nihilism. The logical creation of opposites in order to understand has a lethal effect on any idea of singularity. The One just cannot be grasped for any length of time by a mind that functions within a logic of constant comparison. If there is a meaning, there must also be an anti-meaning; if there is 1, there must also be -1. Traditionally, it has only been through the anti-logic of faith that thinking has been able to overcome the logical result of that equation: 1-1=0; equals nihilism. Post-modernism was correct in associating truth with relativity and pluralism – we give the meaning we want to reality – but to save that pluralism from the anarchy of everything is permitted, it has to be anchored in the metaphysical ubiquity of meaning itself. As everything is allowed, then nothing is meaningful is a wrong assumption, because not everything is allowed. Everything is permitted except the assumption that the ubiquitous meaning is meaningless. We can’t think meaning away, it can only go away when we stop thinking. Nihilism, therefore, is not something that is thought out or thought away. Nihilism as non-meaning, is non-thought; it is the absence of thought. And if thought is a celebration of the meaning constituting the Universe, nihilism (non-thought/non-meaning) is nothing more than a threat, albeit a very serious threat. Our positivism centres meaning where it has to be – in our minds. The meaningful is linked to thinking and awareness. The more aware we are, the more meaningful life is. All ignorance diminishes meaning and propagates meaninglessness via a lack of awareness. Knowledge nurtures meaning itself. Likewise, art and technology, when developed through an erudite process with a thirst for knowledge, expand the meaningful. By being centred in meaning we are situating ourselves in the centre of the meaningful Universe, and that is a spiritually uplifting experience. The deeper the sapiens species delves into its own sapiens nature, the nobler it becomes and the closer it gets to the purposeful existence of the good, because meaningful, life. Universalism forms the foundation of all monotheisms. Yet it is a foundation badly rooted, for it is constructed on the sediments of separation. All the separatisms – subject/object; man/God; man/nature; man/woman; man/world; Earth/Universe; Heaven/Hell; master/slave; European/Asian; Christian/Muslim; Muslim/Jew; nation A/nation B – pervert the universalism, rendering it hypocritical. Monotheism is an intuition for the One. But for the impossible One, for it is the One that is affirmed from a segregation. Only the enlightened can know the one. Hence there arises a new segregation between the enlightened and the ignorant. Even the most universal of religious philosophies, the Tao, makes the separation of Yin and Yang a basis of its whole. To understand the One, we have to understand how it is separated. The pure aspect of the Yin and Yang is not the black and white, or black and red, antagonisms, but the circle around them. 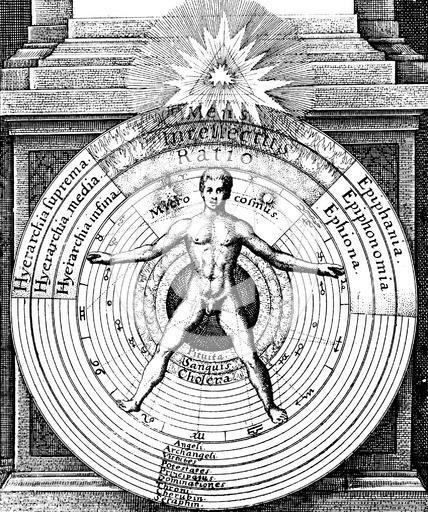 The circle, in the form of the Uroboros, is the oldest symbol of the universal: the cycle is its first limitation. Once the circle is interpreted as a constant, ever-changing form of mobility, it immediately assumes a conservative dogma of anti-progress and a negation of becoming. Inside the cycle, the One is not an expansion but an illusion of progress that merely returns us, through different seasons, to that which is, which always has been, and always will be. The function of separation, seen through the spectrum of the cycle, is to regenerate and reconfirm the machinery of the One without changing the One itself. In its basic concept, spiritualism is therefore this sense of being in this magnificent, pure, self-generating machinery. But this sense of being part of the whole is the first thing that monotheisms attack. With the fabrication of God, the Universe itself becomes subordinate to a Master, and spiritualism is relegated to a sense of submission before the All Powerful; a bowing and kowtowing under the omnipotence of the Creator. What we witness, in this process of hypocritical universalism, is the implementation of all the dogmas of power. For social progress and individual freedom to be possible and authentic, therefore, the psychological dogma of the circle has to be broken. The tail must be pulled away from the Uroboric serpent’s mouth and turned into a rail that we can drive ourselves forward on. The Earth may be spinning around, but the Universe is expanding. For a scientific understanding of life on Earth (or all life as we know it) we need only study its double helix, DNA. The DNA is an archive, a library and an operating system. Life, as such, is dependent on information that is stored, read and followed. The individual is subject to the complexity and limitations of this information. What’s more, it is this double helix which also determines our individuality as much as our similarities. We are biological computers based on a binary system of base pairs: a combination of adenine and cytosine; cytosine and guanine; guanine and thymine; thymine and cytosine, etcetera … This is our four element, binary combination language – the language of life. But the question why does life exist is a profound one, as is the question of why does anything exist. Fundamental questions that the scientific understanding of life can only satisfy up to a point. In order to find deep answers to the deepest questions we need to go beyond fact to reasons and purpose; we have to bring science back into the fold of philosophical speculation from which science originated from sometime around the 5th century BCE. This is not to say by any means that we should abolish or even diminish the science, but, on the contrary allow speculation to fuel a science-based philosophy concerned with meaning that will pull science back into the realm of metaphysics. A future science with pre-Socratic intentions if you like. In order for everything and nothing to exist, time and space must exist, for it is time and space which provides the separation allowing for diversity to be possible. Everything is One thing, a mass that needs to be broken apart in order to be able to perceive the real potential of everything, but included in the One is also an Absolute Zero as well as a never truly achieved Infinity. This breaking apart of the Infinite singularity is managed through the manifestation of time and space. Life: a double-helix DNA executive commanding its single-strand RNA clerk. Our primary communication, which is at the same time the executive communication. Constant, but silent and secretive. The secret Genetic Code. A linear codex as of the steps of a ladder. Letters in a sentence, a punctuated sentence. Life is a language, dictated by DNA. We are built on carbon foundations building other complex language systems on silicon foundations. The goal of evolution is to produce the perfect brain that will be able to achieve the most complex understanding of the world and the universe it is a tiny part of. The universe is a universe of information transmitted through language but mainly devoid of objects capable of understanding that language and acting accordingly. But by analysing the physical form of the universe it becomes clear that it has an aim. Time and space and DNA exist because the principal aim of the universe is to understand itself; to be able to exist in a conscious and self-conscious, self-fulfilled way. This can only take place through the agent of intelligent life. There is an anecdote, told by Peter Sloterdijk in Neither Sun nor Death, that a rabbi taught that the Creation was attempted twenty-seven times before finally getting it right on the twenty-eighth experiment. Let us imagine twenty-seven Big Bangs, creating twenty-seven kinds of universes that were all incapable of spawning a life form possessing self-awareness and intellectual perception of the universe that enveloped it. Without such a life form these universes themselves did not really exist and the rabbi would have to trust the Creator’s word that he had actually made these things that were never perceived by anything except Itself. Only the twenty-eighth Creation, this one that we perceive, has been successful, because the primary definition of a successful existence depends quite simply on the existence being perceived. We are not the end-result of Creation, but the end result may have to come through us, or through us and through other Sapiens species with a similar capacity for sensing, learning, understanding and teaching what is known. The reason behind Creation has to be in its self-discovery – discovered by what Itself has created. This is not a question of intuition of God or of a faith and belief in the dogma of religion, but of a complete and unambiguous understanding of the Universe in which we are. We’ve had a century in which philosophy and its life-long partner, metaphysics, have been divorced. The result has been an abandoning of the big questions and the age of nihilism that had to be a necessary consequence of such a rupture. In fact we could define nihilism as a condition in which the big questions are not allowed to be asked. What we gain from this separation is a certain liberation from theological speculations and so many of the absurd dogmas and superstitions that religions propagate, but- what we lose is a serious vision of existence and our direction forward. In short, we lose our meaningfulness in the deep sense. “Vanity of vanities” was the great nihilistic statement. It is this scientific community now who are obsessed with the big questions: what are we? ; where have we come from? ; where are we going? Ideas of fine tuning in the universe, or multiverse, leave fertile ground for religious thought, but the new ideas are usually coming forward from atheists who see no real, scientific reason for wavering from their godless universe conceptions. A multiverse idea implies that if there have been endless amounts of universes, eventually one of them will have to work. In an infinity, our existence is a mathematically certainty. But this reduction, or expansion, of our necessary reality created by the mathematical necessities of infinity doesn’t have to diminish the meaningfulness of our existence. Even if purpose is accidentally formed, when we find it we must not only acknowledge it, but embrace it and rejoice in it. Real purpose may lie in something as simple as: Being is in our perception of it. Philosophy has always hovered around this point: a point that became quickly confused and obfuscated by the idea of God. For philosophy to be able to think metaphysically again God had to be removed from the equation. Metaphysics had to be separated from God not annihilated along with God’s elimination. However, it seems that metaphysics is a stronger element than 20th century philosophy credited it to be and new metaphysical and teleological theories are being born in quantum and cosmological discoveries. This metaphysical renaissance of meaning into the fabric of science must bring about a return to the idea of philosophy in its purest form… the pre-Socratic purity of the big questions. The metaphysics of nature is investigated in the sciences, in particular in cosmology and quantum physics. But from the discoveries made by that cosmology there needs to be a philosophical investigation, a Metaphysics of Ethics, in order to point to what the end-goals of humanity should be by investigating what humanity ought to be, and thereby, where we ought to be going. Kant believed that it was pointless to think seriously about concepts beyond the a priori realities of time and space, but cosmological calculations and quantum physics have pushed our thinking light-years away from the universe that could be conceived in Kant’s time. 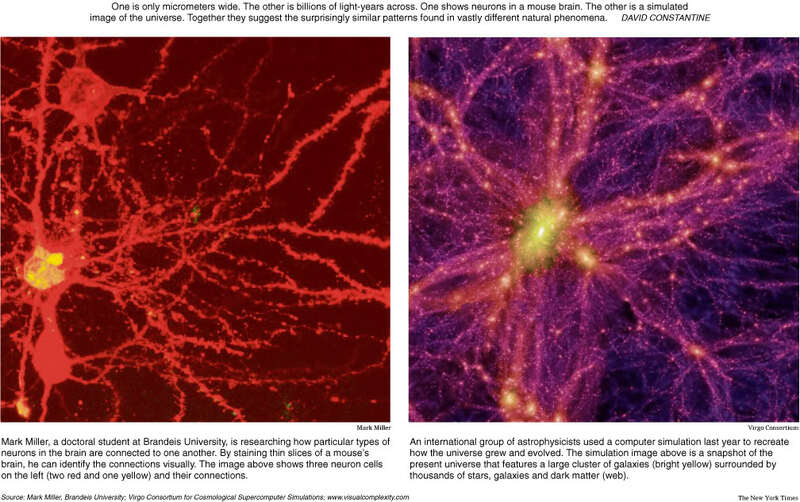 We now know enough about our universe to look for answers into the great mystery of how the universe works within the existence of a Multiverse or Metaverse beyond it, and in the “dark matter”, the mysterious black holes or in other cosmic mysteries like the vacuum field that make up an important part of the cosmos and are essential ingredients for holding our universe together. 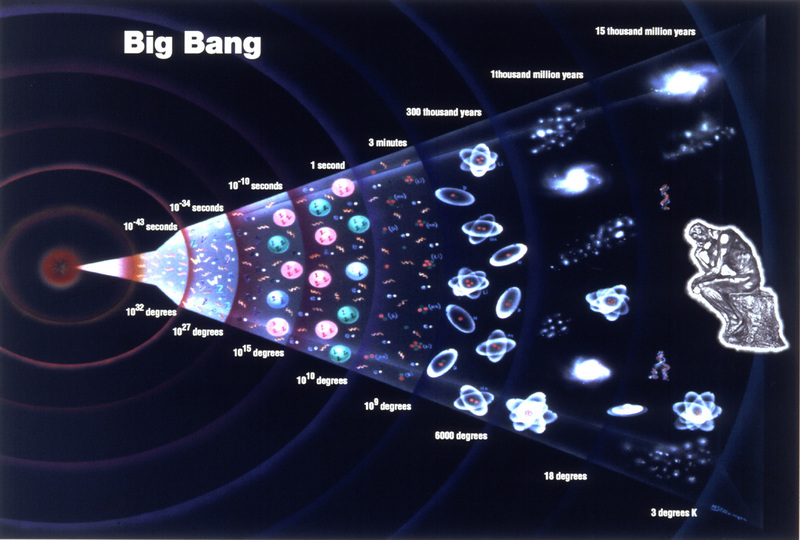 Cosmologists can now express valid suspicious that the Big Bang doesn’t, because it cannot, explain the entire composition and fine-tuned functioning of the universe as we know it today. At the cosmological and the quantum level, everything is much greater and more beautiful and mysterious than it ever was before, and understanding that mystery and beauty is our own mysteriously beautiful purpose for ‘being’ in this magic place.